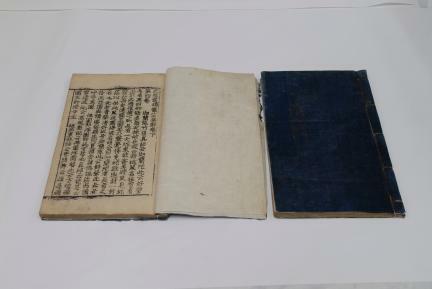 『자비도량참법집해(慈悲道場懺法集解)』는 활자본을 번각한 목판의 인본(印本)이며 조판의 형식, 글자의 모양 및 크기 등을 비교하여 볼 때 이 책의 저본이 된 활자는 『직지(直指)』를 찍은 ‘흥덕사자(興德寺字)’로 추정되었다. 비록 고려후기에 찍은 바탕본(금속활자본)은 전하지 않지만 이 책을 통해 고려후기에 외에 또 다른 금속활자본의 존재 사실을 확인할 수 있어, 간접적이나마 우리나라 금속활자 인쇄의 계통을 보여주는 귀중한 자료이다. 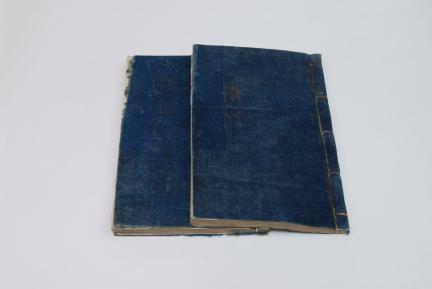 현재 이 책은 동일한 판본이 공인박물관에 1부가 소장되어 있을 뿐 매우 희귀한 전적이다. 때문에 이 책은 우리나라 고려후기의 금속활자 인쇄본 연구에 필수적인 자료이며, 또한 불교학의 교학적(敎學的) 연구에서도 매우 중요한 문헌적 가치를 지니고 있다. 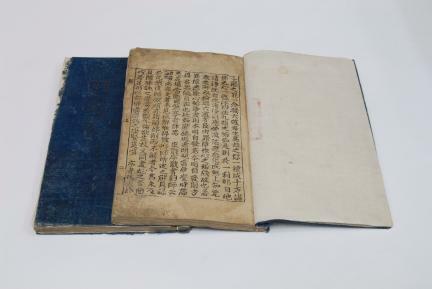 This print of the Commentaries on Jabi doryang chambeop (Repentance Ritual of the Great Compassion) was made with woodblocks that were carved based on a movable type-printed edition of the same text. 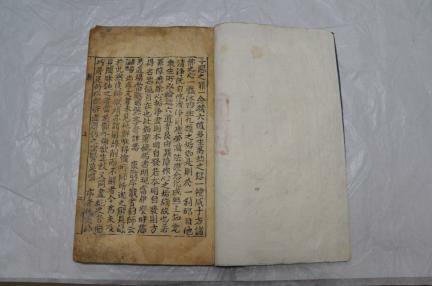 Judging from the shape and size of characters and the overall style, the movable type used as the model for the woodblocks for this book is likely to have been the Heungdeoksa type, the type with which Baegun hwasang chorok buljo jikji simche yojeol (Anthology of Great Buddhist Priests’ Zen Teachings, or “Jikji” for short) was printed. 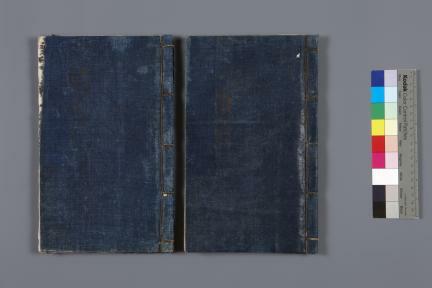 Although the movable type print which served as the base text has not survived to the present, this book, nevertheless, constitutes evidence for the existence of metal movable type-printed books other than Jikji, in late Goryeo; hence, casting light on the history of Korean movable metal type printing, albeit in an indirect fashion. 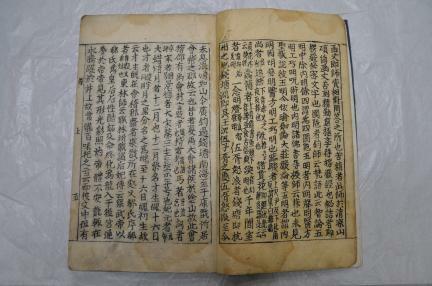 This is one of the two only extant copies of this book, printed with the same woodblocks, the other being in the collection of the Gongin Museum. 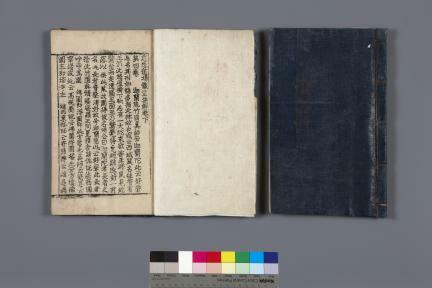 This rare old book is priceless for research into late Goryeo movable metal type prints, while it also holds significance for Buddhist research.